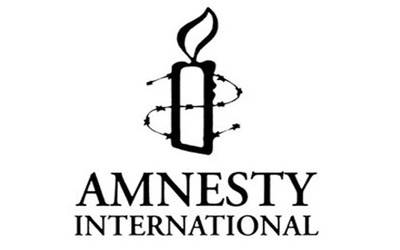 AKIPRESS.COM - Torture and other ill-treatment in detention facilities remained routine and pervasive in Uzbekistan, said Amnesty International in its new Annual Report 2014-2015 published on 25 February. The authorities continued to reject allegations of torture committed by law enforcement and National Security officers and failed to effectively investigate credible and persistent reports of such human rights violations. Prison sentences of individuals convicted of anti-state and terrorism offences were arbitrarily extended and many were denied necessary medical attention. Those forcibly returned from abroad were at real risk of torture and other ill-treatment. Persistent and credible allegations continued to emerge of pervasive and routine torture and other ill-treatment by law enforcement and National Security (SNB) officers during arrest, transfer, in police custody and in pre-trial detention and by law enforcement and prison personnel in post-conviction detention facilities. The authorities continued to vigorously deny such reports, including during public examinations of Uzbekistan’s human rights record at the EU-Uzbekistan Human Rights Dialogue in November. They instead pointed at the implementation of wide-ranging initiatives in the field of human rights education, such as numerous torture prevention training programmes for law enforcement officers and judicial and medical officials, and increased co-operation on human rights with the international community. However, as in previous years, these developments failed to lead to necessary, genuine and wide-reaching systemic reforms. Serious concerns remained about the authorities’ failure to implement existing laws and safeguards and to adopt new effective measures towards the prevention of torture. The authorities also failed to effectively investigate reports of torture and other ill-treatment. In November, the UN Human Rights Committee requested that Uzbekistan report on measures taken to implement the Committee’s numerous previous recommendations to address torture from 1999, 2005 and 2010.